I hope you have a good weekend , I did, but had so many scrappy designs running thru my head that I would wake up and not go back to sleep so I would get up at 3 am and go downstairs to my scrappy room and play ( might as well be productive if I can’t sleep ) , now this as me a bit messed up on my sleep pattern ( has this happened to any of you ? 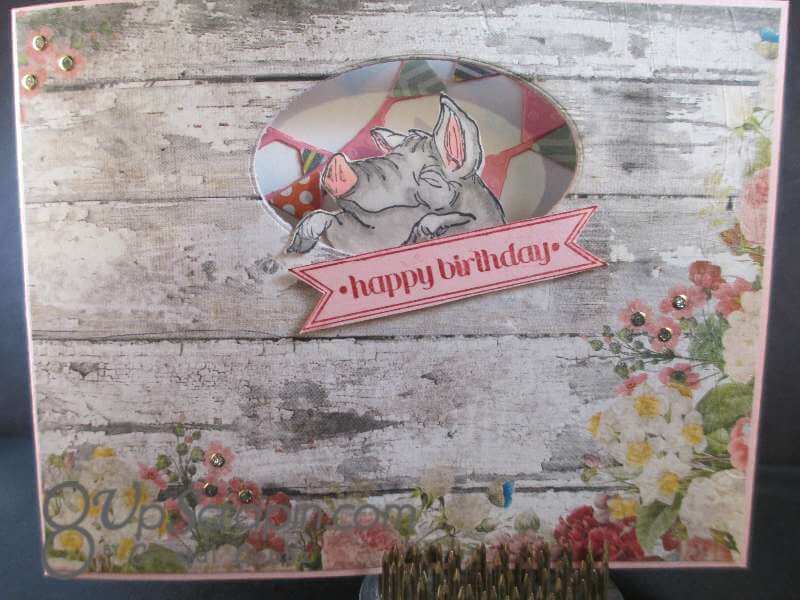 )..ughh but I did get a lot of goodies made up , stay with me this week and you will get an eye full ..So back to today’s card , I am making it for Art Impressions “Take a Peek ” challenge , for my card I am using the Pig front and back sku # U1719 . 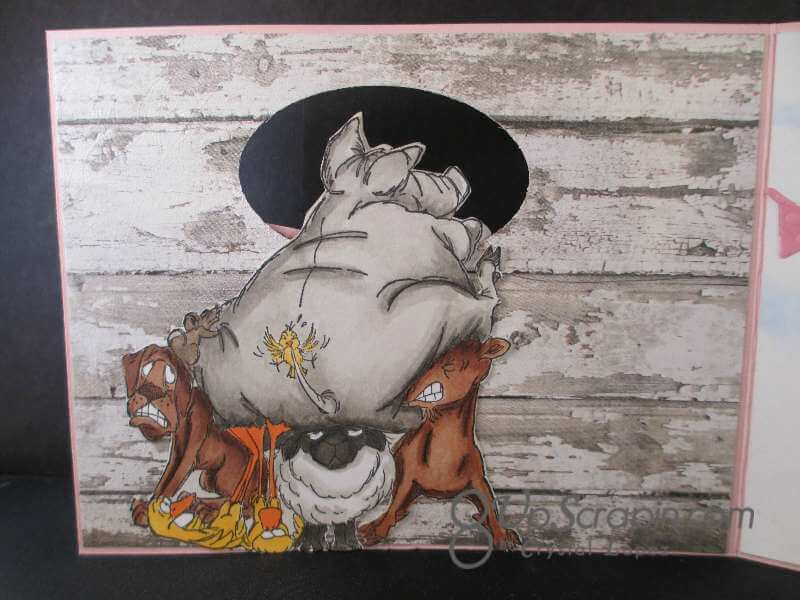 inside are these cute fellas trying to hold up the pig to look out my window ..lol are they not just the cutest ?? Love it! Your 3 am creativeness is over the top!! 3am – yikes!! 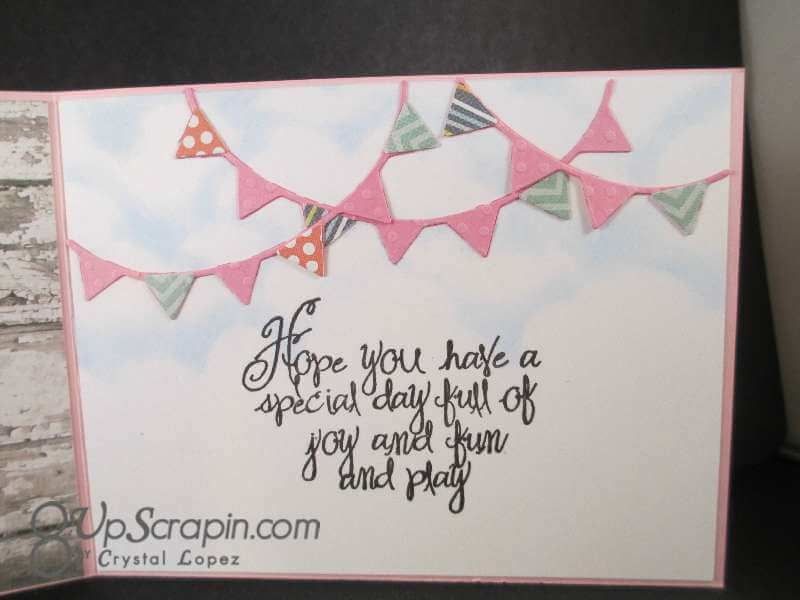 I don’t think I’d be able to creat something this amazing in the middle of the night :o) Fun card, Crystal!! Oh my goodness this is adorable, Crystal! I definitely NEED this cute front and back image. Love the colors and your inside sentiment/banners as well! 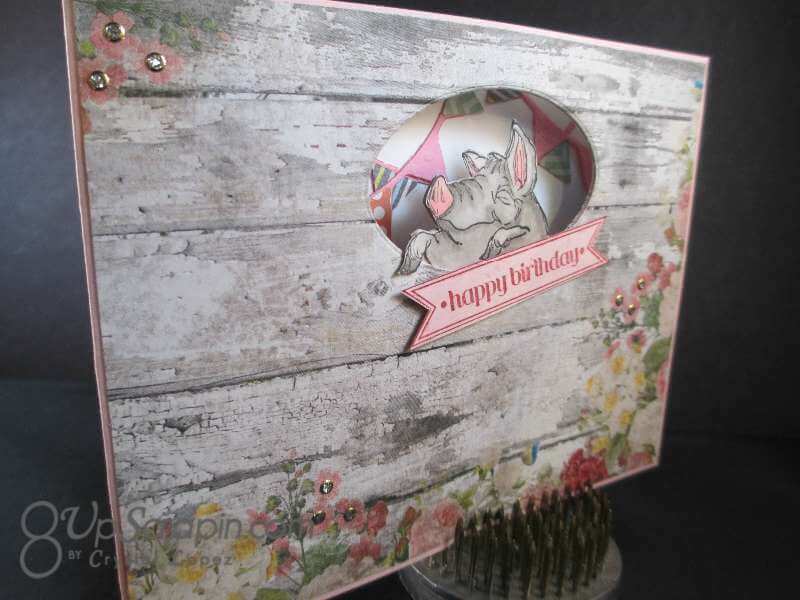 Great card – I love that weathered wood paper and your chalked clouds are perfection! 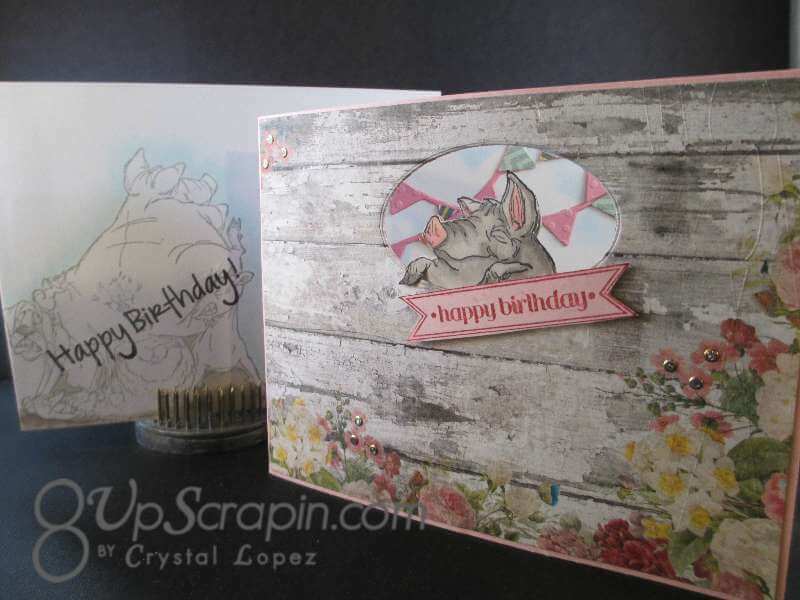 Thanks for joining us for this week’s Simon Says Stamp Monday Challenge!